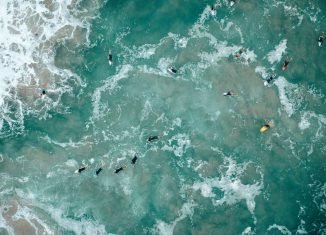 2019 resolutions for an epic surf year ahead! 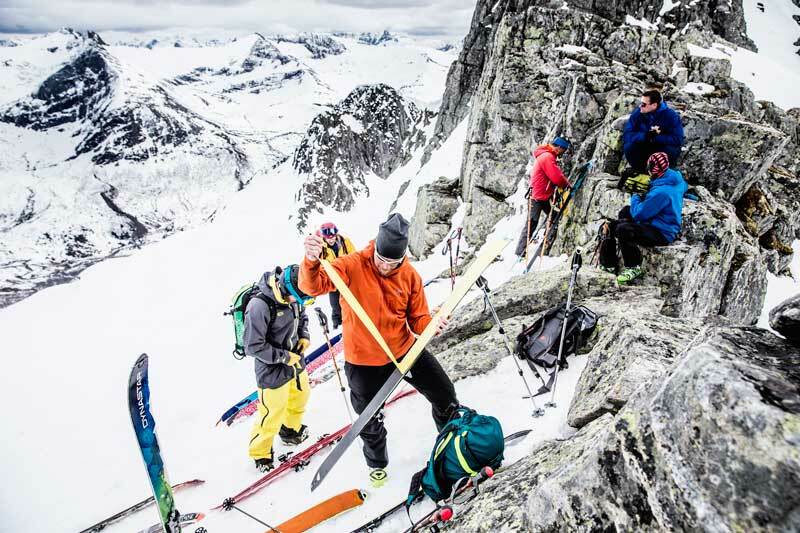 Backcountry skiing and ski touring in Norway has really gained in popularity over the past few years. It’s hardly surprising. Norway is home to some of the most spectacular mountains in Europe, and while the country itself is easy to access and move around in, the mountains themselves are often wild and remote. In many ways, the place has more in common with BC or Alaska than with the Alps. It’s probably fair to say that the Arctic destinations of Lyngen and Lofoten are the first places that spring to mind when thinking about ski touring in Norway. They’re both excellent backcountry skiing destinations for sure. However, Norway has an abundance of other great ski touring and splitboarding areas too. Here’s a run through some of our favourite spots. The obvious choice for a first time (or every time!) trip to Norway. The Lyngen Peninsula is situated inside the Arctic Circle, close to the city of Tromso. Lyngen probably has the most varied terrain of Norway’s Arctic touring destinations. Here you’ll find couloirs, big open faces, spines and glaciers. There’s also some great tree skiing for stormy days if you know where to look. Mid-March to mid-April is prime time in Lyngen. The days are getting longer, and there’s usually great snow to be found. However, May is a great time to visit too; it’s light almost 24 hours a day and skiing under the midnight sun is a once-in-lifetime kind of experience. 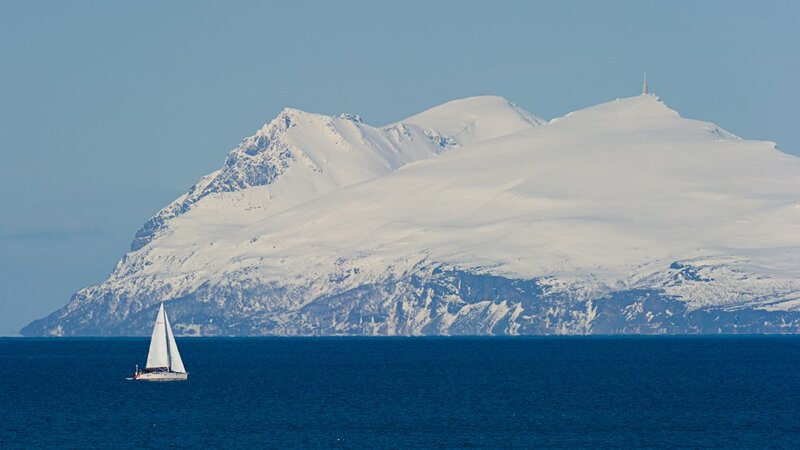 Lyngen’s big draw, like most of Arctic Norway, lies in its proximity to the ocean and fjords that surround the area. Skiing or snowboarding above the sea on beautiful mountains is difficult to beat. Throw in the mix the incredible light you only get in the Arctic, and you’ve got yourself a setup, most people only dream of. Boat trips are popular in Lyngen, especially around the islands off the northern peninsula. Many spots are only accessible by boat which means you’ll find places where first tracks and solitude are pretty much guaranteed. Other accommodation options include renting a house or cabin or staying in one of the mountain huts in the area. Fully catered chalet accommodation complete with mountain guiding is also available for those on a bigger budget. The other big name in Norwegian Arctic skiing, Lofoten is the next obvious choice after Lyngen. The Lofoten Islands are a mountainous group of three islands that stretch out into the Atlantic. Still in the Arctic, though a little further south than Lyngen and Tromso, Lofoten is characterised by steep and rugged mountains that get hammered by regular Atlantic storms. The scenery in Lofoten is just as wild and spectacular as Lyngen, perhaps even more so. Conditions can be more variable though as the weather changes so quickly in this part of the world. However, when the stars align and the mountains are covered in cold powder I seriously can’t think of too many more spectacular places on Earth to go ski touring. Accommodation options in Lofoten mainly consist of cabins or houses – many of which are located right by the sea. Lodge style B&B accommodation is also available. The best time to hit Lofoten is from mid-February through to early April. It’s often possible to tour right from the road or your front door, depending on the snow conditions. A (rental) car in Lofoten comes in really though as there are so many options in a relatively small area. Finnmark is gaining in popularity as skiers look beyond the usual locations near Tromso. Finnmark is a wild, remote place, best accessed by flying into the town of Alta. Even further north than Lyngen and surrounded by ocean and fjord inlets, it’s an ideal place to use a boat to get around. The skiing is similar to Lyngen but with fewer people. Big faces, trees, deep fjords, wide open powder fields and, at the moment at least, hardly any other skiers. Get there before everyone else does! Situated north of Lofoten and west of Lyngen, the island of Senja offers more incredible Arctic coastal skiing. Senja is a pretty big island (Norway’s 2nd largest), so there are a lot of potential terrains to explore. The skiing here is a little less developed than in Lyngen or Lofoten, which makes everything just a little more wild on Senja. It’s possible to fly into either Narvik or Tromso or to come by boat, which is actually the easiest way to access the best runs. The mountains top out around the 1000m mark so are perfect for day tours. They are steep and craggy with many of the descents ending right at sea. The Sunnmore Alps occupy the area right on the ‘shoulder’ of Norway, between the cities of Alesund and Trondheim. They are a super steep and rugged range of peaks that rise straight out of the many fjords in the area. 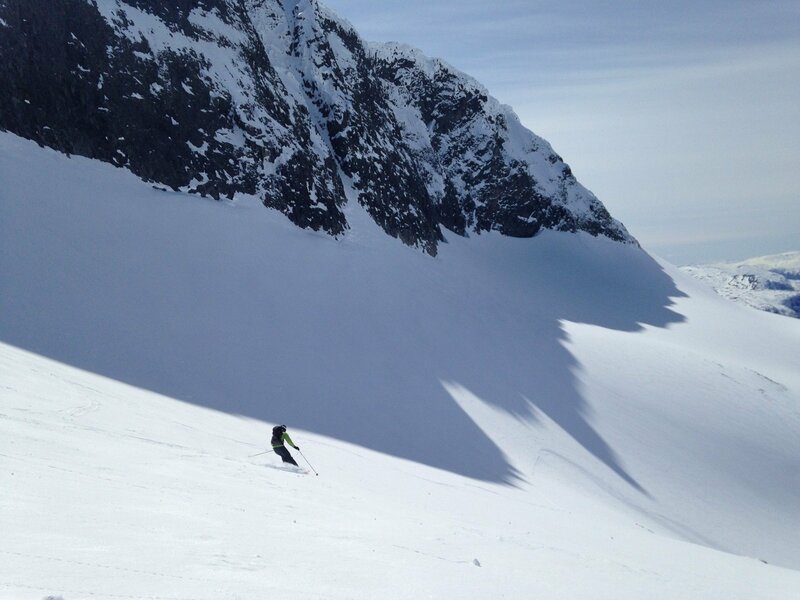 Ski touring and splitboarding in Sunnmore usually involves ascents of around 1000m that often start close to sea level. These mountains receive a lot of snow, and in mid-winter and spring, powder is common, especially after storms that come in off the sea. Although the area is much further south than Norway’s Arctic destinations, the mountains here are generally higher, so conditions are often good well into spring. There are one or two small resorts right in town, but other than that, the area is still pretty raw and uncharted. There are a few modern lifts and some great terrain, especially on a powder day. It’s a good place to base oneself as there are endless ski touring potential within a short drive. Situated at the end of the giant Sognefjord, the mountains of Sogndal often fly under the radar compared to other spots on the list. Sogndal is home to big and bulky peaks littered with faces and ridges to ski, along with some amazing tree skiing at lower elevations. Sogndal has just a handful of surface lifts but is a great place to be on a powder day. Lap the lifts with fresh tracks every time, or take a short tour off the top for easily accessible powder stashes. These mountains sit head-on to the western jetstream. The regular storms that roll in get an added moisture boost from the surrounding fjords which means Sogndal is often home to some of the biggest snowfalls in Europe. Jotunheimen is just a few hours drive from Oslo and is a popular area amongst Norwegian skiers, especially in the spring when these mountains come into their own. The Jotunheimen National Park contains Norway’s highest peaks and a very comprehensive hut system. Multi-day touring traverses like those in the Alps are therefore popular, and the region is perfect for wilderness camping too. Being an inland chain of peaks, the Jotunheimen mountains don’t get the same quantities of snow as the summits by the coast. Temperatures are usually lower though, so powder conditions are common well into spring and even early summer. Based in the UK and owner / editor of TheGemsstock.com, I spend most of my life dreaming of places much steeper and snowier than wherever I'm currently at. Along with snowboarding I also enjoy trail running, climbing, hiking and living life with my beautiful wife and daughter. Dive into a world of incredible surfing, skiing and snowboarding adventures. The LUEX Magazine takes you on a journey from the finest surf spots to the wildest mountains; an eternal quest for the deepest powder and hollowest barrels on the planet. Come ride with us. Sign-up now - don't miss the hottest surf & snow insights!